Here is a round-up of today's proverbs and fables - and for previous posts, check out the Bestiaria Latina Blog archives. You can keep up with the latest posts by using the RSS feed, or you might prefer to subscribe by email. HODIE (Roman Calendar): ante diem quartum Nonas Apriles. MYTHS and LEGENDS: The art image for today's legend shows Heracles and the Amazons, and there are more images here. 3-WORD MOTTOES: Today's 3-word verb-less motto is Rebus angustis, fortis (English: In difficult situations, brave). ANIMAL PROVERBS: Today's animal proverb is Laesa saepius repugnat ovis (English: Wounded once too often, the sheep fights back). POLYDORUS: Today's proverb from Polydorus is: Dignus es, qui in tenebris mices (English: He's a worthy man, with whom you can play "Rock-Paper-Scissors" in the dark; more about the ancient finger game). GREEK PROVERBS: Today's proverb is Ἁμ' ἕπος, ἅμ' ἔργον (English: No sooner said than done). BREVISSIMA: The distich poster for today is Sedes Commoda. Click here for a full-sized view. God himself favors the bold ones. 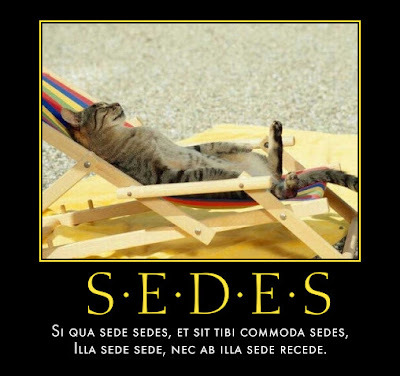 Maiori cede, sed non contemne minorem! Yield to the greater, but scorn not the lesser! PHAEDRI FABULAE: The illustrated fable from Phaedrus for today is iuvencus, leo, et praedator, a story about the lion's justice: Latin text and Smart's translation. STEINHOWEL: The illustrated fable from Steinhowel for today is De ranis et Jove, a story for our times: Latin text and English versions. You can use this button to open the "mobile" view of Blogger in a separate window. The mobile view is great for printing, and you can use your browser's print-to-PDF feature to make a PDF. 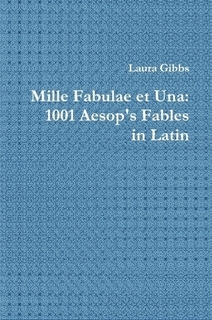 Books I have written: Aesop's Fables, Aesop's Fables in Latin, Mille Fabulae et Una, Brevissima: 1001 Tiny Latin Poems, Latin Via Proverbs, Vulgate Verses, and Roman Sudoku. See FREE PDFs here.